Furrion, a global leader of innovative products and solutions for the consumer, specialty vehicle and marine markets, unveiled the crown jewel of its concept fleet: Adonis, a 78-foot customized Numarine yacht. Furrion partnered with Numarine, the European high performance motor yacht shipyard headquartered in Istanbul with a range from 62 – 105, to build an entirely new experience on water. Adonis is a luxury smart yacht – a concept that combines luxury with futuristic innovation and artificial intelligence. This yacht houses the best of Furrion’s technology, from audiovisual electronics, kitchen appliances, camera observation and monitoring. Furrion’s hardware and software solutions, combined with prestige boat building, gave birth to a masterful blend of artistry, design and advanced technology. 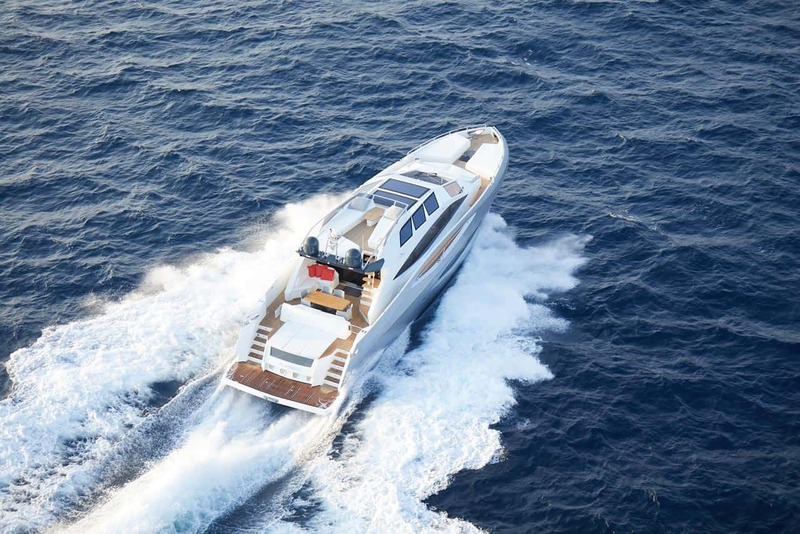 Numarine Adonis is equipped with the ultimate smart technology and assisted by virtual concierge ‘Angel’. Angel is powered by a network that knows no limits and built with intelligence that responds to your every move. It is always ready to assist in ways we once only dreamed possible. Adonis is the third brilliant concept design from Furrion Design. It joins Limitless, a customized fifth wheel that when joined with Hercules, a futuristic semi-truck, create a 4G connected living experience that redefines luxury mobility. Furrion Designs first concept vehicle was Elysium, the motorhome complete with a hot tub and helicopter on top that Furrion introduced at CES2017. All of Furrion’s concept fleet are outfitted with the latest in technology, combining smart living solutions with sophisticated design for a luxury mobile lifestyle experience.